I'm going to be having surgery soon, and I wanted to bring a small travel altar with me to the hospital. As I was packing things up, I felt a little sad that I couldn't bring my besom broom with me. 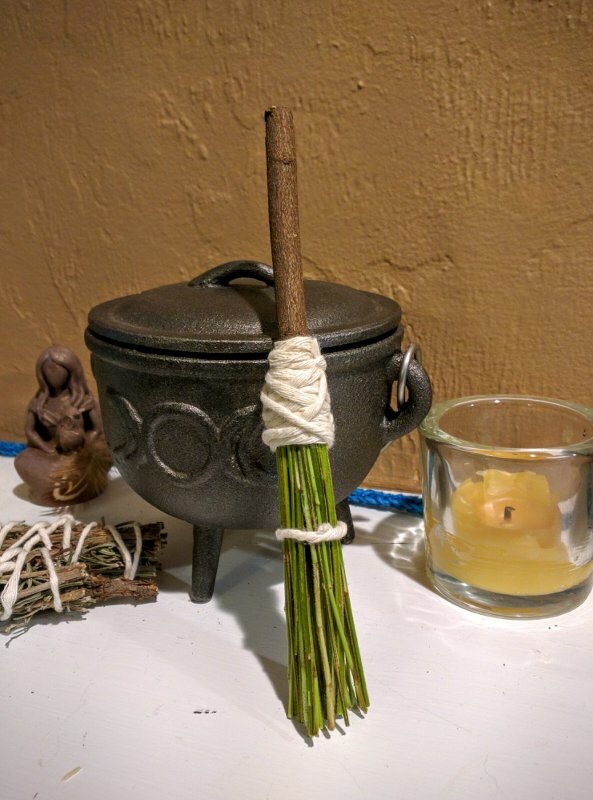 I decided to make a little broom out of vines from my creek and herbs from my garden. I'm very pleased with how it came out.